Northside Maker and Proud of it! 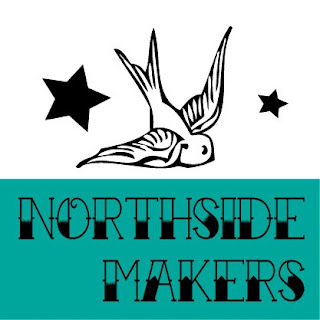 I’ve just proudly become a member of Northside Makers. Hopefully Chuckles Designs will be selling at some upcoming northside markets. Stay tuned for dates. This entry was posted on September 2, 2009 at 6:58 am and is filed under 1. You can follow any responses to this entry through the RSS 2.0 feed. You can leave a response, or trackback from your own site.